Teachers are urged to integrate grammar instruction with lessons on writer's craft, but what does that look like in real classrooms with real kids? In The Craft of Grammar, Jeff Anderson shows how he brings grammar and craft together meaningfully for student writers. Jeff and his sixth-grade students move easily from analyzing sentences to freewrites in writer's notebooks to "express-lane edits" of their writing in daily workshops. The lessons, individual conferences, and small-group activities on the video demonstrate how to use high-quality children's and young adult literature as mentor texts and as an alternative to "Daily Oral Language." celebrating student success and tactfully correcting errors. Jeff presents simple and imaginative tools and memory devices—from the whoop of the AAAWWUBIS to the clever and catchy FANBOYS—that help students see the value of grammar and mechanics in crafting powerful writing and retain that knowledge. 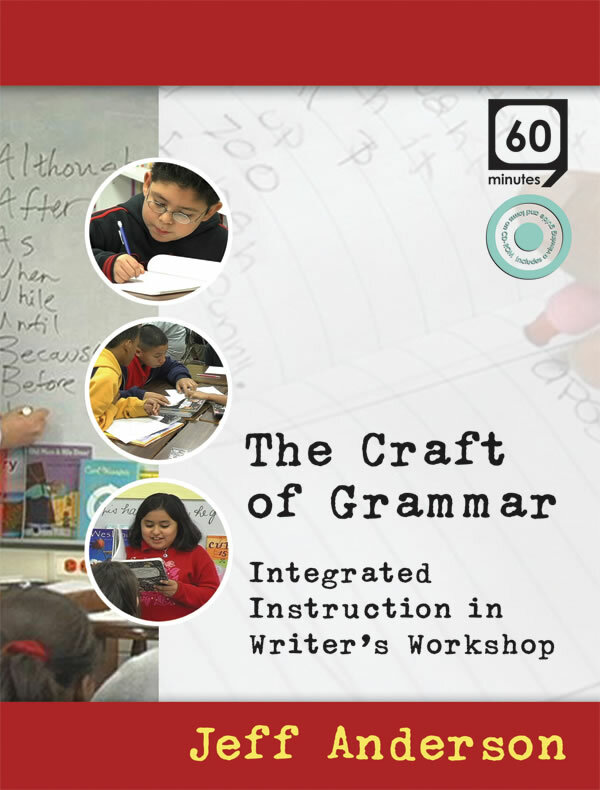 Filmed in his diverse Title I classroom in San Antonio, Texas, and featuring Jeff's unique brand of energy, passion, and humor, The Craft of Grammar helps teachers of intermediate and adolescent writers find new and engaging ways to connect the writing process with grammar and mechanics.